This is Part Seven of my story. This has been a major transition during the past year. Planning meals for our family of six has always felt like a daunting task. Add in some major food restrictions and it seemed overwhelming at first. 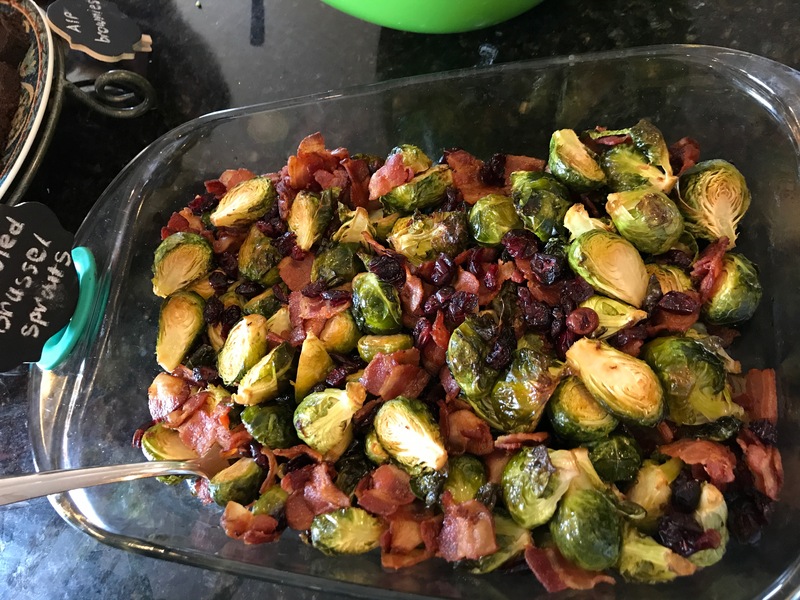 Back when I went gluten free, I continued to cook normal Standard American Diet (SAD) meals for my family, and I would make something gluten free for myself. That was when I thought it would be too expensive to feed my whole family gluten free because I was still thinking about food in terms of a SAD diet. In other words, I would try to replicate a normal meal by substituting commercially packaged gluten free foods, which are expensive. Our meals have changed dramatically since then. Now that I’m doing the Paleo Autoimmune Protocol diet, we all eat basically the same thing for dinner with a few exceptions. Keep in mind the list of eliminations: NO grains, sugar, dairy, soy, legumes, eggs, nuts, seeds, chocolate, processed food or nightshades, which include potatoes, tomatoes, peppers, eggplant and the spices made from those (paprika, chili powder and several varieties of pepper). What I CAN eat is easier to remember: meat, produce and healthy fat. I start each meal with protein. Most days, I cook dinner in my electric pressure cooker. 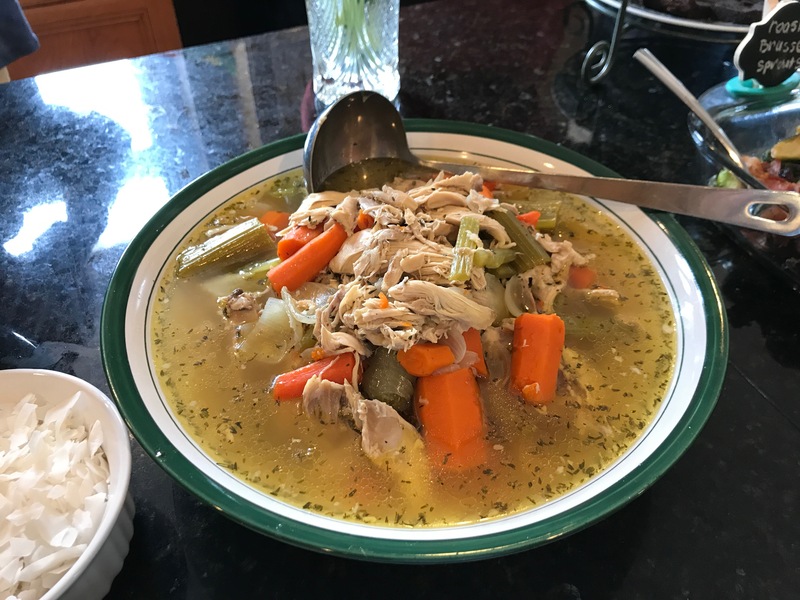 I often cook a whole chicken, chicken drumsticks, pork loin, pork chops, or pot roast. I cook meat loaf or salmon in the oven. Depending on the protein, I throw in carrots, onions, celery or possibly cabbage or rutabaga. (These all cook well in the electric pressure cooker.) I’ve been learning how to change up the herbs and spices to create different variations. I often use sea salt, thyme, rosemary, garlic, sage, basil or oregano to give a different flavor. Next, I start chopping veggies. I usually roast one or two pans of veggies in the oven with olive oil and sea salt. We love Brussel sprouts, carrots, cauliflower rice, broccoli, or cabbage steaks. Sometimes, I’ll do something more unusual like bok choy, okra, radishes or beets. On days when I want to keep things simple, we’ll go back to some of our SAD favorites. I will make the kids gluten free pasta with meat sauce and parmesan cheese. 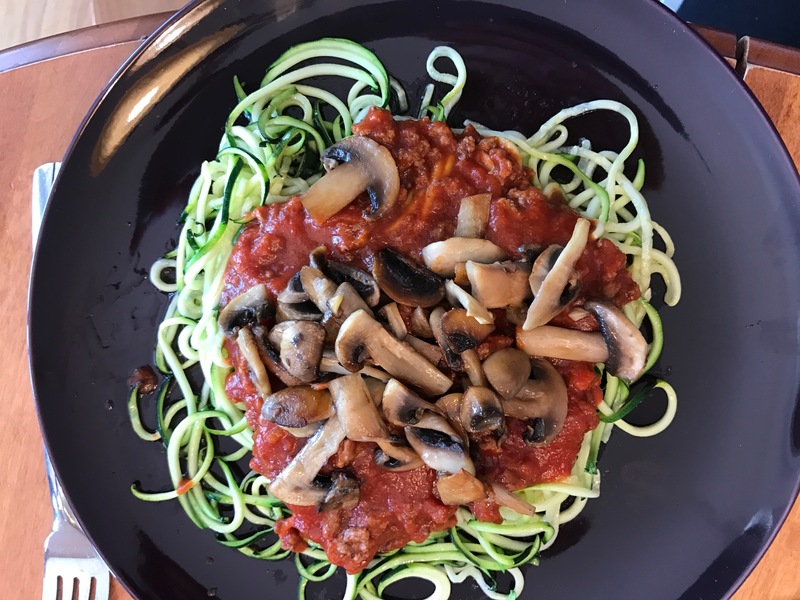 I can’t have grains, tomatoes or dairy, so I’ll do spaghetti squash or “zoodles” with “nomato” sauce (which is made from beets, carrots and other veggies) and meat. Tacos are another great gluten free meal. I can’t have the seasoning, taco shells (corn), cheese or sour cream, so I will eat unseasoned ground beef with lettuce, olives, guacamole and plantain chips. Breakfast was the biggest adjustment. Without grains, dairy, nuts or eggs, it’s hard to find food that “feels” like a standard American breakfast. I usually eat leftovers from the night before. But I’ve also learned to make a warm porridge using butternut squash or spaghetti squash mixed with dates, shredded coconut and coconut milk. 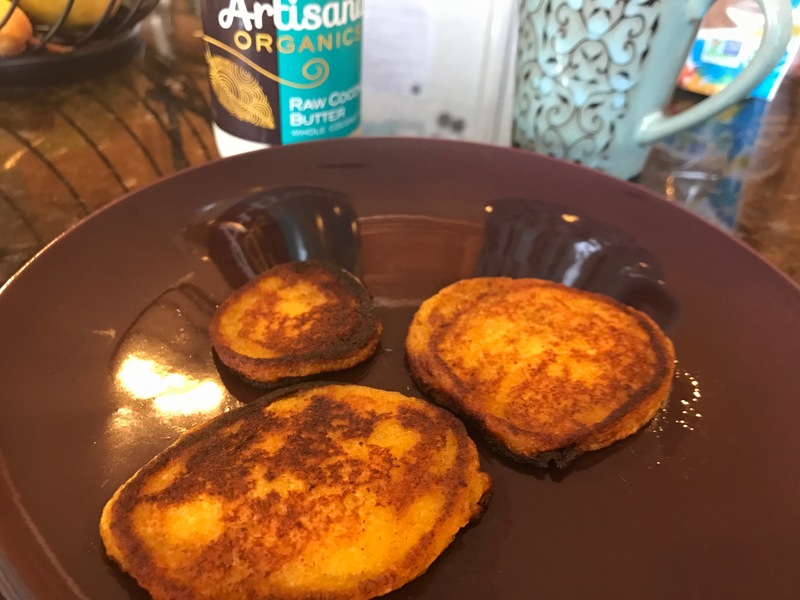 I’ve also learned to make something like “pancakes” out of plantains or butternut squash. My snacks are usually fruit, dried fruit or guacamole with plantain chips. What does my family think? 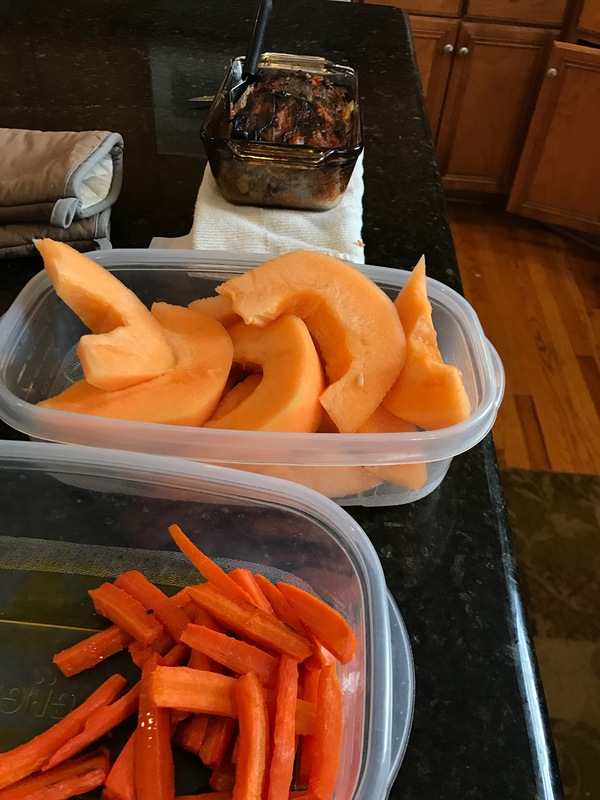 A few days ago, we were eating one of my AIP meals together as a family, and I asked the kids if they missed our old way of eating. I was surprised to hear her answer, but it’s so true. The diet that I’m on is meant to reduce inflammation, and it honestly makes me feel great! In the past, just as I equated healthy with thin, I thought “diet” meant “hungry.” I actually eat a lot more than I ever ate before. I pile my plate full at each meal and never think about how much I eat. My husband and oldest son both decided to jump on the gluten free/Paleo bandwagon on their own. 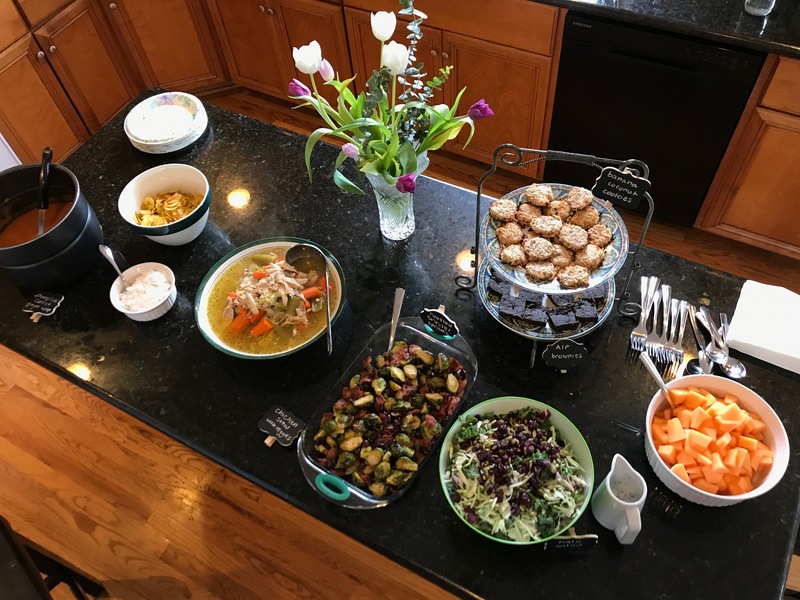 My husband eats about 90 percent Paleo and our 16-year-old is completely gluten free. They have both experienced great health benefits from the change. I’m not on this diet to lose weight. 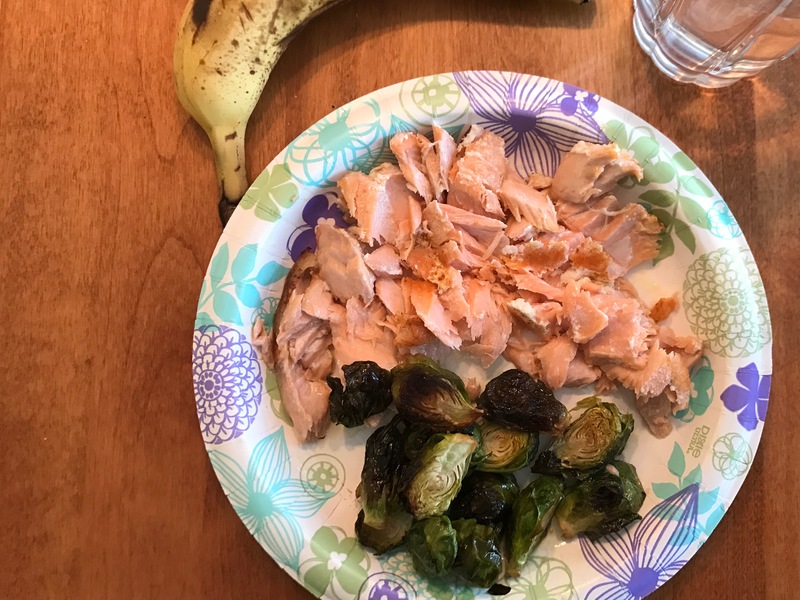 However, if you are wanting to lose weight, I highly recommend the regular Paleo eating plan (as opposed to Paleo AIP, which is far more restrictive). Paleo teaches you to eat protein, veggies and healthy fat. You are never hungry, and it makes you feel great! Another question people ask me is how long do I plan to eat this way? I’ve been in the elimination stage of the diet since February, and I’m planning to continue a strict AIP diet for six more months. Hopefully, by that time, my gut will have healed to a point that I can begin adding foods back in one by one. It will probably taken a year to do the reintroductions. I know that a lot of people with autoimmune disease are never able to reintroduce many foods, so this is probably close to how I will eat for the rest of my life. However, I’m hopeful that I will be able to reintroduce a few things. Eggs and almond butter are at the top of my wish list! What’s the hardest part about eating this way? After four months, I’m really to the point that I prefer to eat this way. The biggest adjustment has been trying to navigate celebrations. It’s nearly impossible to eat in a restaurant, unless I want to eat a bowl full of plain lettuce (which I don’t)! On my birthday a few weeks ago, my husband was trying to think of something he could do to make my day special. That was sad for me. We are learning to find other ways to spend time together as a family or come up with special treats that won’t take me too far off my eating plan. It’s been a new challenge, but I’ve learned that it’s worth it at this point to stick to the foods that make me feel my best. I’m so thankful for my family and their great attitudes with all of the adjustments we’ve had to make. I am truly blessed. Thank you for reading! Please feel free to leave a comment below. I’ll wrap this up tomorrow with a post on what I’ve learned since I crashed almost exactly a year ago. Non-sport family things would be the hardest for me, too. Almost all of our family events revolve around food. It definitely shifts perspective!